@objesguy44 credit to the Refs! There we go. A woman who sounds like one of my aunts giving expert analysis to why China won. Anyways, take a look at BBall Breakdown’s excellent analysis of the FIBA Asia Gold Medal Game. If you haven’t already, check out their YouTube page, as they have excellent content from basketball fundamentals and strategy, to analysis of the NBA. For any basketball junkie, it’s required viewing for sure. Here are few of my own thoughts about Smart Gilas’ play, though I won’t go into much depth, as Coach Nick did a good job of that already in the analysis above. The one thing you have to remember is China was extremely favored this game. They were hardly challenged at all in this tournament, with the lone exception being their second game in the group stage against South Korea where they were losing by double digits as late as the 3rd quarter. In that game, China really came out sluggish, and didn’t shoot well either until the end, where their outside shooting came around and Zhou Qi took over in the paint. Other than that scare against Korea though, China had been on cruise control throughout the tournament. The same could not be said of Smart Gilas. We all know about their opening loss to Palestine, but they struggled with consistency throughout the tournament. They struggled at times and were down in contests against Lebanon and Japan, who they were much better than. They had to get a huge 4th quarter run to pull away from Iran. While China dominated, Smart Gilas seemed to be running on fairy dust, with lady luck seeming to help them time and time again. Eventually, the luck will run out, and unfortunately, for Smart Gilas it did against a much bigger and better and more athletic Chinese team. This is probably one of Smart Gilas’ best teams ever, but they still were a heavy underdog in this game and they needed a lot to go in their favor. With that being said, while Smart Gilas’ execution at times was lacking, what wasn’t was their effort and heart for the most part. With the exception of Andray Blatche running out of gas seemingly in the 3rd and 4th quarters (especially on the defensive end, as chronicled in some lackluster help defense in the video above), Smart Gilas played with all out effort and reckless abandon throughout the game. The bench demonstrated this soundly, as I thought Abueva, who struggled with fouls and missed free throws, left it all out on the floor in admirable fashion. The heart and effort of Smart Gilas, especially the bench kept them in the game, even if their offensive and defensive execution certainly didn’t. The biggest disappointment about this game was the lackluster performances from Jayson Castro and Terrence Romeo. I had been big fans of both of them in this tournament, as Castro was obviously the main piston to Smart Gilas’ dribble drive offense, and I felt Romeo was a young, heir apparent to Castron in many ways due to their ability to score and create offensively. Though Romeo is still green in terms of senior national team competition and still has to work in creating offense for others (he’s still too “ball dominant”), he has demonstrated a streaky and entertaining style of play that complements Smart Gilas’ team well. (On Twitter I likened him to those 90’s “shooting guards” in “point guard” bodies like Steve Francis, Allen Iverson and Gilbert Arenas). Unfortunately, they both struggled immensely both on the offensive and defensive end, as Coach Nick pointed out soundly above. I thought the main advantage Smart Gilas had in that game was at the guard position, as I thought Smart Gilas sported a much better arsenal at guard going into the final than China. However, that was far from the case, as not only did Castro and Romeo struggle, but Guo Ailun also broke out with a sterling performance that opened up the post for China, their main plan of attack. Castro was a big part of Smart Gilas’ win over Iran, as he dropped 42 points and seemed unwilling to be contained or stopped. Unfortunately, that performance didn’t repeat against China, and Smart Gilas struggled to stay in the game without his influence on the court. Like I said on twitter earlier, Smart Gilas will still be playing in the Olympic Qualifying tournament next year, which is better than nothing and still gives them an outside shot at earning an at-large berth (and getting a silver in a FIBA area that is rising in terms of competition is nothing to slouch at; especially considering South Korea, which was one of the hottest teams in Asia the past couple of years failed to medal and will not be playing in the qualifying tournament). But, Smart Gilas will have their hands full, as they will play a difficult field which includes a multi-talented and young Canada team (which I think will be a dark horse in that tournament if they return everyone and get Tristan Thompson, who didn’t play in the FIBA Americas tournament) as well as European powers such as France and Greece. As stated before by Coach Nick in the video, Smart Gilas will always be outmatched in terms of size and athleticism, so it is important that they are sound in their fundamentals and gameplan if they want to earn a spot in the Olympic Games in Rio in 2016. It’ll be interesting to see if that can happen. Tab Baldwin will have a full year with the team, and he has pulled success stories before in New Zealand, Lebanon and Jordan. If Smart Gilas can make the Rio field, then without a doubt, that will be the magnus opus of Baldwin’s coaching career thus far. Let’s see what can happen in a year for Smart Gilas. In the meantime, as I said before, congrats to China. They are a talented and young team, and could be a dark horse in the Olympics with the right draw. With talented posts like Yi and Zhou Qi, they will be a handful for anyone, let alone the basketball global powers. 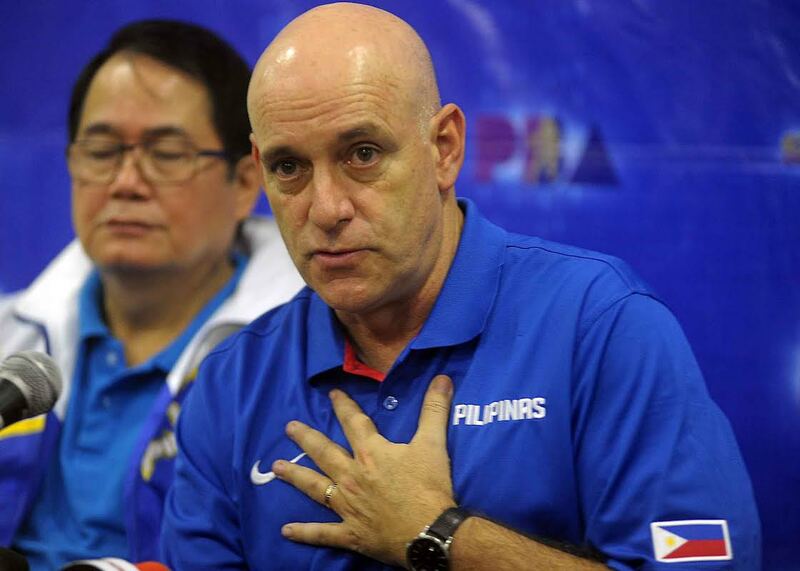 The Veteran Squad and the New Coach: Can Smart Gilas’ Experienced Squad Mesh with New Head Coach Tab Baldwin? The pressure is on new head coach Tab Baldwin (right) to help Smart Gilas Pilipinas show well in the FIBA Asia championship. There are a lot of stories dominating the landscape at the FIBA Asia championship from September 23-October 3, especially with an Olympics berth on the line. As the FIBA Asia enters the second round, I am writing a two-piece post examining two squads that I find the most interesting in this tournament: China and the Philippines. These two teams in my mind have the most at stake this tournament, especially considering they have gone through some ups and downs the past few years in terms of International success. In this post, I am going to take a look at Smart Gilas Pilipinas (the team name for the Filipino Men’s National Team), their experienced roster, and how they will fare in new head coach Tab Baldwin’s first international competition as Gilas head coach. You can also find the previous post on China, Yi Jianlian and Zhou Qi here. Jayson Castro (7, white) is one of the key veterans for this Gilas squad at the FIBA Asia. Smart Gilas is coming off one of their best stretches in international team play history, and yet, there still are a lot of questions lingering with this squad. In 2013, in front of Filipino fans in Manila, Gilas finished 2nd in the FIBA Asia tournament, which qualified them for their first FIBA World Championship (now FIBA World Cup) since 1978. Though they failed to advance to the second round in the FIBA World Cup in 2014, they did win their first game in almost 40 years, as they beat Senegal 81-79 and put up sterling efforts in losses against established programs such as Croatia (81-78 in OT), Argentina (85-81) and Puerto Rico (77-73). Though the 1-4 record wasn’t ideal, it was obvious that Gilas had gained some necessary international experience on the big stage that would help the national team going forward. Unfortunately, things fell apart for Gilas in the 2014 Asian Games, as the squad, without Andray Blatche (who didn’t qualify for the Asian Games due to naturalization issues, which were different for those games from normal FIBA ones), finished a disappointing 7th. The team went 1-2 in group play, with a disappointing 95-93 loss to Korea, and a huge 77-68 upset to Qatar, ranked 48th in the FIBA world rankings. The underwhelming performance, as well as issues with personality and player rotations resulted in long-time national team coach Chot Reyes being forced out and replaced with Tab Baldwin. Baldwin is not totally unfamiliar with the national team, as he served as a consultant recently to Reyes and Gilas. However, he has a plethora of coaching experience at the international level, as he coached New Zealand (which is his national background, as well as American) from 2001-2006 and helped the “Tall Blacks” qualify for the FIBA World Championship in 2002. After his tenure as coach of New Zealand, he also had stints with Lebanon and Jordan, helping rebuild and raise the respectability of those programs to where they are today (Lebanon is ranked 34th and Jordan is ranked 29th). But, while Baldwin did fantastic jobs with New Zealand, Lebanon and Jordan, his tenure with Gilas is unlike anything he’s ever coached. He hasn’t coached a national squad whose fans are as basketball-crazy as the Philippines. He hasn’t dealt with an organizational structure that has been its own worst enemy for decades (the Philippines have been suspended by FIBA from international play 3 separate times since the 1970’s). Baldwin certainly has the coaching acumen and chops to help Gilas become a power in Asia up there with China and Iran. But, the same could have been said of Reyes, who ended up being forced out after a successful stretch due to one shoddy performance in the Asian games. Coming into the tournament as one of the favorites, Baldwin’s tenure started disastrously as Gilas was upset by Palestine 75-73, who just recently resurrected their national team basketball program, was unranked by FIBA and was playing in their first FIBA Asia tournament in history. Gilas played a sloppy game, marred by unforced turnovers, missed open shots (including a lot of missed bunnies, i.e. layups), and a lack of rhythm on the offensive and defensive end. Little known Jamal Abu Shamala scored 26 points, had 15 rebounds and an efficiency rating of 29, thus displaying Gilas’ lack of tenacity and urgency on the defensive end. If you look at the highlights below, it is obvious that Gilas at times coasted a bit too much, and that resulted in Palestine not only hanging around, but seizing enough opportunities for the upset victory. While Gilas certainly could have packed it in after such a humiliating loss, Baldwin has rallied his veteran squad to win 3 straight games, as they beat Hong Kong (101-50) and Kuwait (110-64) by impressive margins, and beat Japan 73-66 in their first second round game late last night/early this morning. The team was led by Blatche who scored 18 points and nabbed 10 rebounds despite dealing with a nagging ankle injury he suffered early in the Japanese game. Also, youngster Terrence Romeo had a solid game with 12 points and two steals, giving Filipino fans hope in the future of their program, which is undoubtedly Romeo. Gilas has not changed much playing style-wise under Baldwin, as they still utilize the Dribble Drive offense to great extent and rely on their speed and quickness on both the offensive and defensive end. Gilas is at their best in transition, especially off live ball turnovers, especially with quick guards and wings such as long-time national team members Jayson Castro and Gabriel Norwood, and newer members like Romeo and Matthew Ganuelas. Even in their loss against Palestine, when Gilas was in transition, they looked like one of the best teams in the tournament. When things slowed down, and they were forced to create offense in the half court, they tended to struggle and be wildly inconsistent. Unlike China, which is extremely young, this Gilas team is a more veteran squad, as they have an average age of 31 and have only two members of the team 25 and under (Ganuelas and Romeo). Thus, the emphasis with this squad is “win now”. That is especially evident with the inclusion of naturalized citizen Blatche, whose inclusion on the team has sparked a lot debate on the presence of naturalized citizens who have little to no apparent connections to the countries they represent. If you haven’t read it already, take a retrospective look at this piece by Grantland’s Rafe Bartholomew, the author of “Pacific Rims” and a leading authority on Filipino basketball. It definitely gives some perspective on why Blatche is not only on the Filipino team, but how he has adjusted to not just the team, but the culture of the Philippines as well. It may change your view on Blatche or other naturalized players playing in FIBA international competitions (Jerome Randle of Chicago did this with Ukraine in this recent Eurobasket). It may not. At the very least, it will give you more information and perspective on the process. Gilas will need a strong, and refined, performance from Andray Blatche to win the FIBA Asia championship and qualify for their first Olympics since 1972. But back to Blatche, he as well as other veterans such as Castro, Norwood and forward Jean Marc Pingris are essential to Gilas’ chances at this FIBA Asia championship. Blatche especially shoulders a majority of the burden, as Gilas has struggled against teams in the past with bigger, more natural post players before Blatche arrived. In the FIBA Asia championship game in 2013, Iran bullied Gilas thanks to former NBA player Hamed Haddadi. That being said, Gilas did not have Blatche then, and now, Gilas has that weapon in the post to go head to head with Iran’s best player. It definitely makes their game on Monday night one worth watching, just for that Blatche-Haddadi matchup alone. If Baldwin can do anything to improve this Gilas squad, it may center on utilizing the talents of his players within Gilas’ system, and preventing them from playing out of control. This veteran squad has many players who have been playing professional ball for a long time, and playing international competition is a whole lot different due to so many different talents needing to mesh together in such a limited amount of time. Many of the players play together or against one another in the PBA (Philippines Basketball Association), so they are used to the Dribble Drive style that is primarily played in the PBA (though the Triangle is utilized a lot, thanks to successful PBA coach Tim Cone). However, for some, Blatche especially, since he plays professionally in China, this adjustment can be a process. How Baldwin handles and manages this issue will be key, primarily with Blatche. Even early on this tournament, it seems like Blatche can be a “ball-killer” on offense, preferring to play at the top of the arc rather than down in the block (which is something he’s always had a problem with, especially in the NBA with Washington and Brooklyn) and go 1-on-1 with his head down and not seeing the open wings sitting in the corners for the 3-point shot. Blatche is multi-talented, and when he’s on, he is probably one of the best players in the FIBA Asia player pool. But when he’s off, he can be a high-usage rate killer that can easily sink teams and squander leads, as was the case time to time in their loss against Palestine. 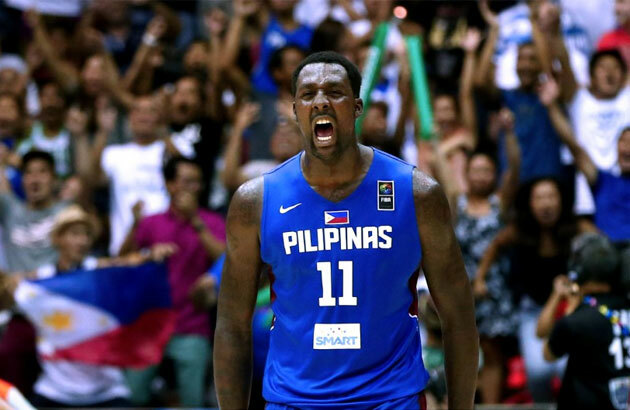 Gilas needs Blatche to be successful. There is no downplaying that. But, Gilas as a whole is better when they’re penetrating to the rim, kicking out to open shooters for three’s or finishing for layups. Watching players like Castro is so enjoyable to watch because he fits in the Dribble Drive so seamlessly, as he is able to time and time again on the drive finish at the rime gracefully or easily find his teammates beyond the arc for open shots. If you watch these highlights against Kuwait, this is Filipino basketball in a nutshell: fast-paced, shooting three’s, and aggressive play on both ends. Blatche can fit in this, and he has fit in it before. But when he tries to do too much, tries to dribble too much, tries to play 1 on 1 too much and settles for lackluster mid-range shots, he is limiting himself as a player and limiting Gilas’ chances at being consistently successful. That is Baldwin’s challenge as Gilas coach, and it’ll be interesting to see if he can figure out this challenge as Gilas progresses further and faces tougher competition deeper in the tournament (starting with Iran). There is no doubt this Gilas team is arguably one of the best in the country’s history. And after playing in the FIBA World Cup in 2014, it would be a tremendous boost for the country to qualify for the 2016 Olympics, which the Philippines has not qualified for since the 1972 games in Munich. Gilas has the experienced horses in place, and Baldwin has done a tremendous job with this team after their early set-back against Palestine. However, playing their style of play against Hong Kong and Kuwait is one thing, doing it against Iran, China and Korea is another. If Baldwin can get Gilas to play their style and play it efficiently against Asia’s powers, then it is strongly possible that the Philippines will break their long-time Olympic drought much like they broke their FIBA World Championship drought in the last FIBA Asia in 2013. Yi Jianlian (red, left) and Zhou Qi (red, 15) are two players that the Chinese national team will rely on in their quest for a FIBA Asia title. In this post, I am going to take a look at China and their two stars: Yi Jianlian and Zhou Qi. China is ranked no. 14 in the FIBA World Rankings and has a long-standing history as one of the more dominant nations in Asian basketball as they won 14 out 16 FIBA Asia championships from 1975 to 2005. However, they haven’t been on the Global radar the past few years, especially following the retirement of Yao Ming. After winning the 2011 FIBA Asia championship, the Chinese team finished a disappointing 12th in the 2012 Olympics, and then under-delivered in the 2013 FIBA Asia Championship finishing 5th, their second worst finish in their history of participating in the tournament (they finished 10th in 2007). Because of their lackluster finish, China missed out in last year’s FIBA World Cup, only the 2nd time they did so since they started participating in the FIBA World Championship (now World Cup) with the other being 1998 in Greece. China has struggled against other global powers in the past, as the highest they have ever finished in Olympic or FIBA World competition was 8th. That being said, their grasp over Asia has never been questioned until lately, especially with the rise of programs such as Iran (17), South Korea (28), Jordan (29) and the Philippines (31). To the Chinese’s benefit, they will be hosting this year’s FIBA Asia championship, and the home court advantage has seemed to benefit the home country teams, as the Philippines used the raucous crowds to earn a silver medal finish in 2013 (helping them qualify for their first FIBA World Championship since 1978), and the Chinese finished first in 2011 when the Asia Championship was in Wuhan, China. Iran may be a more accomplished team right now considering they are the reigning Asia Championship winners, and Korea may be one of the trendier teams to pick, as they did win the Asia Cup last year. However, one has to believe, with an Olympics berth on the line, that China will see this tournament as a “must-win” and thus, be considered the favorites. If China is going to win this year’s Asia championship, they are going to need strong performances from their post players, specifically long-time, but controversial star Yi Jianlian and 19-year-old phenom Zhou Qi. The Chinese team has some athletes, speed and can surprise people with their shooting, especially thanks to young guards like Guo Ailun and Zhou Peng, who have demonstrated a strong ability to create offense and shoot beyond the arc early in this tournament. But China’s real strength is in their length, as they sport four 7-footers on their roster. 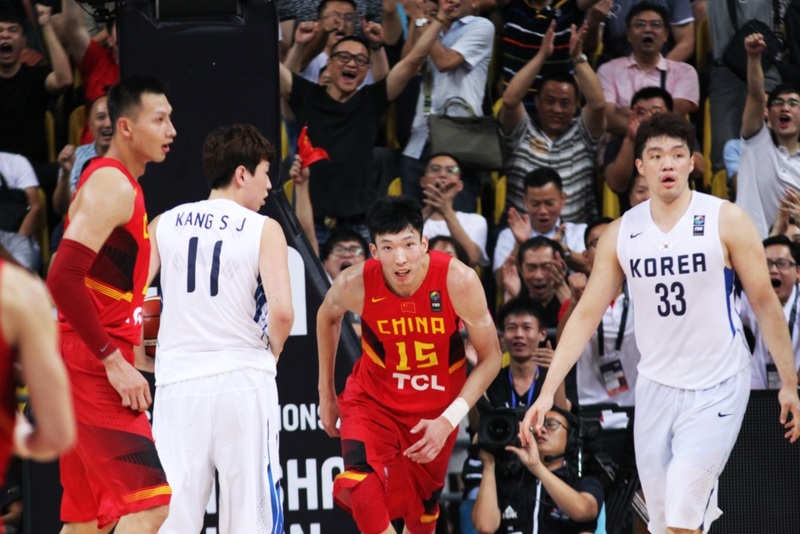 If China wants to get back to the Olympics and reclaim their dominance in the Asian basketball scene, they will have to own the post and glass offensively and defensively. The most crucial 7-footer of the bunch has to be Yi Jianlian. Now 27-years-old, Yi is the vet of this Chinese squad that’s average age is 24 years old. Considering Yi played with some of the best Chinese players in the past like Yao and Wang ZhiZhi, guys who played and succeeded in the NBA, it is time Yi exerts an Alpha Dog status on this Chinese team and carry them to success. Yi has a bit of a controversial status with mainstream fans, as he was the No. 6 pick overall in the NBA draft, but didn’t have much of an impact on the Milwaukee Bucks, New Jersey Nets, Washington Wizards or Dallas Mavericks in his 5 year NBA career. Despite his disappointing American tenure, he has bounced back as a superstar-type player in the Chinese Basketball Association, as he averaged 27.7 ppg, 10.9 rpg on 57.5 percent shooting in 45 games in 2014-2015 for the Guangdong Tigers, and he averaged 23.5 ppg and 12.5 rpg during Guangdong’s championship season in 2012-2013. Yes, he may not have been the transcendent international superstar that Yao was, but Yi has proven that he can be a highly-productive talent, especially in China. And that is most important right now to Chinese basketball fans. Sure, he doesn’t have the global attraction of Yao, but he certainly has the potential to be the leader this young Chinese team needs in this Asia Championship and hopefully, the Olympics in 2016. Yi’s game has blossomed a bit, as he has become more physical on the glass, something he struggled to do in the NBA (he was routinely pushed out by more physical posts). However, where he excels the most is in the mid-range. While it may not be the most “efficient” way to play, it is obvious that Yi proves to be an exception to that rule. Yi sports a great and accurate jumper that he uses with regularity, which makes him a dangerous offensive threat. Bigger posts who sag will be victim to his mid-range jumper, while smaller posts and switches will get posted up and dominated around the rack. Yi does show a tendency to struggle and be inconsistent against bigger posts (his match up with Iran’s Hamed Haddadi and the Philippines’ Andray Blatche will be interesting to follow), and sometimes he can be taken out of games when he’s doubled (as was this case in the first-half of the China-Korea game where the Koreans put up an early lead and neutralized the Chinese by throwing frequent double teams at Yi and keeping him away from the block). That being said, not many Asian squads have been able to have much lasting impact defensively against Yi’s offensive arsenal so far in this tournament, as he is averaging 19.3 ppg, 11.0 rpg on 55% shooting in 25.8 MPG through China’s first three games (which they are 3-0). If China wants to continue to do well in this tournament, and make their run to a championship, Yi has to continue his dominance and efficiency (he’s the leader in efficiency rating for China at 23) throughout the second round and beyond. If people are looking for the next great Chinese “superstar” in the Yao mold, then simply look at the clip above. While Yi certainly was critical to China’s 76-73 comeback win over Korea, it was 19-year-old Zhou Qi’s 21 point, 8 rebound performance that proved to be the X-factor in the comeback win, which the Chinese were down as much as 18 late in the 3rd quarter. While Yi tends to focus more offensively on the mid-range, Qi is more active around the rim, as he is known for high energy on the offensive and defensive end. As a 19-year-old rookie in the CBA with the Xinjiang Tigers, Qi led the CBA in blocks, and in one under-16 game in 2011, he recorded a triple double that involved a stat line of 41 points, 28 rebounds and 13 blocks. If Yi’s game can be compared to LeMarcus Aldridge’s, then Qi’s can be compared to Rudy Gobert, in which Qi is a more traditional post player skills and impact-wise. But perhaps the biggest hurdle for Zhou will be how he copes with being China’s consensus Next Big Thing. Zhou’s countrymen passionately consume the NBA, and in the void that followed Yao Ming’s retirement, there remains a nationwide obsession with seeing a Chinese player back at the highest level of basketball. For the next couple of years, Zhou is going to have to live with every good performance being proof that he belongs in the NBA, and every off night becoming a cause for widespread concern. The pressure to be as good as a billion people want him to be will weigh on Zhou, as of course it would. While this is certainly pointing to Qi’s progression in the CBA and perhaps making the NBA, it is also a microcosm of what is expected from Qi in this FIBA Asia championship: if he is supposed to be the star everyone expects him to be, this Asia championship needs to be his coming out party, especially in his home country and an Olympic-berth on the line. So far, Qi is living up to the expectations despite the pressures from the media and his home country fans. Though he hasn’t had the kind of impact on the glass as one would want or expect from a critical post player (he is only averaging 4 rebounds per game), he is second on the team in efficiency rating (14.7) and scoring (13.3) and he does lead the team in blocks with 1.3 per game. I don’t think anybody is saying that Qi is the center piece of this team (that falls on Yi). But, Qi cannot underwhelm if the Chinese want to win the Asia Championship. So far, he’s overwhelmed. Let’s see though if he can continue that in the second round.